The doorbell at the house rang at 3:00 a.m. This was, to say the least, unusual. I opened the door to see two police officers holding my briefcase. Why did they have my briefcase? "Can you describe the contents?" "Uhh, some books, notepads, that kind of stuff. Why do you have it?" He handed it to me and asked me to look through it to see if anything was missing. Laptop. Check. I forgot that was in there! Bible, check. Papers and books. Check. Looks like everything was there. Except for... my prayer beads? I remembered leaving the briefcase in my car, probably unlocked. We walked over to it to see if anything else was missing. Nope. The medallion at the bottom reads, "I have called you by name. You are mine. Isaiah 43:1" As I held each small bead, I prayed the words of Psalm 145:17: "You open wide your hand and satisfy the needs of every living creature." And while I was repeating those words, I remembered the episode at my doorway in the middle of the night. 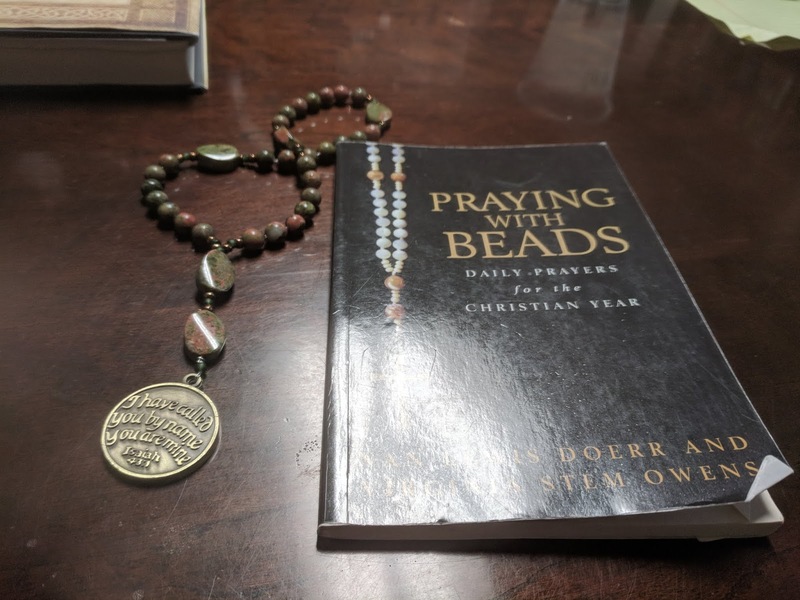 Where are those prayer beads today? Is someone using them to pray? Maybe wearing them as a necklace? Are they in the local landfill or in a vacant parking lot, discarded as without value? Whenever we are feeling small and worthless remember those words above from Isaiah and Psalms. God knows our names, and God provides for our needs. Whenever we are quick to judge or demonize others, remember those words, and consider how they apply to every person-- indeed every living creature.